« How To Use Ad Blockers to Stop Ads from Displaying in Your Web Browser? 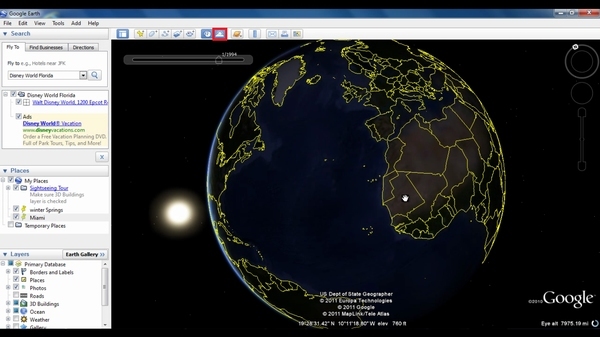 With Google Earth you can now see more of the world than ever. 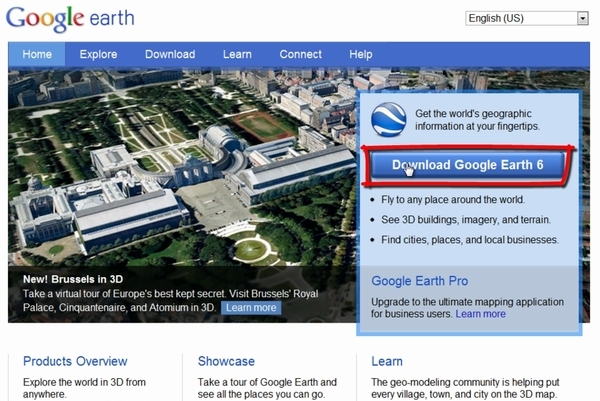 In this tutoorial you would be learning how to use Google Earth. Once the web page loads, simply click on the download button. You would be redirected to a page where you need to agree to the terms and conditions before the downloading starts. For that simply click on the “Download and Agree” button. Once you have downloaded and installed the application, a shortcut would appear in the desktop. Click on the shortcut to open up the application. 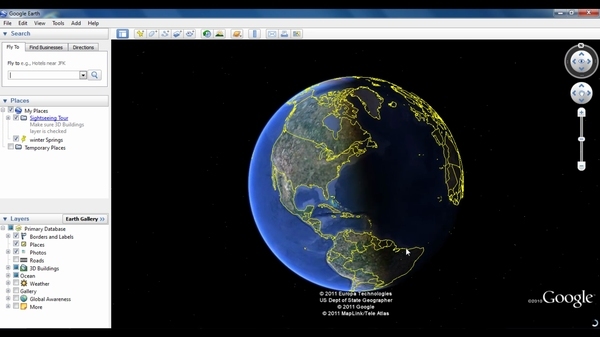 As you start Google Earth, the globe appears in the main window. On the top left corner, there is a ‘Fly to’ command which directly takes you to a particular location. 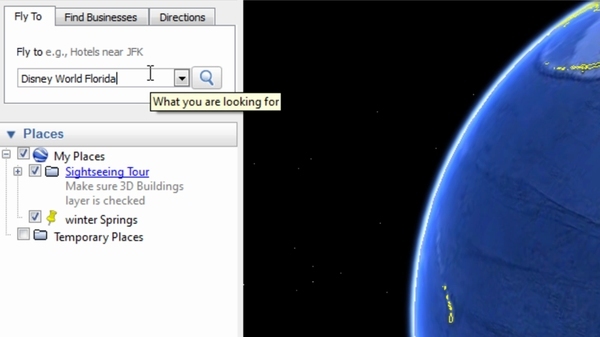 In the Fly To search panel, type in any particular location that you want to look for in the search box and hit Enter. Alternatively, you can click the Begin search button, which is represented by a magnifying glass (also shown above). Once you have been taken to your location, you can zoom in and zoom out of a certain location by using the navigation controls on the right. 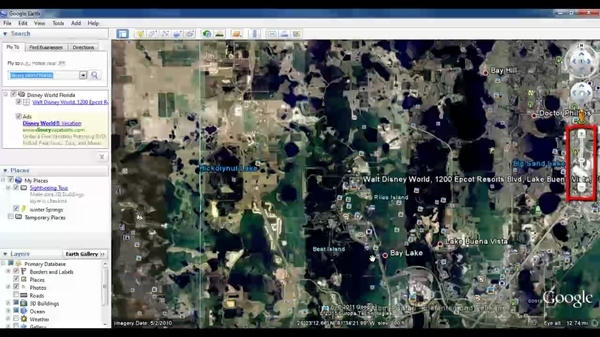 You can also use the mouse to zoom in and out. 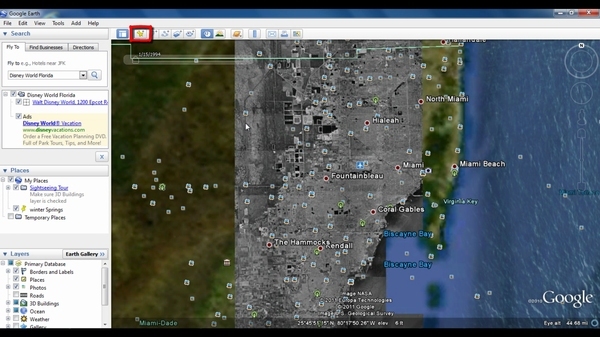 At Google Earth you can travel back in time to see historic imagery by clicking on the “Time Slider” option on the top panel. Just move the slider to any time frame and the application would generate results accordingly. You can use place marks to mark any location on the planet. Once you have created a place mark, it appears in the My Places folder in the Places panel. You can then quickly go to the marked location at any time by double clicking the place mark. You can also check sunlight across the landscape by clicking on the small sunlight icon located in the upper tab.